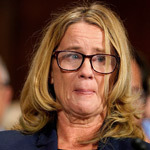 Christine Blasey Ford, the famous accuser of the then-Supreme Court nominee Judge Brett Kavanaugh, jas broken her silence since the hearing before collecting nearly $650,000 from a GoFundMe account. 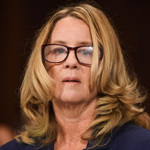 Blasey Ford said the donations were a "godsend" before announcing she would be settling the account to any further contributions. 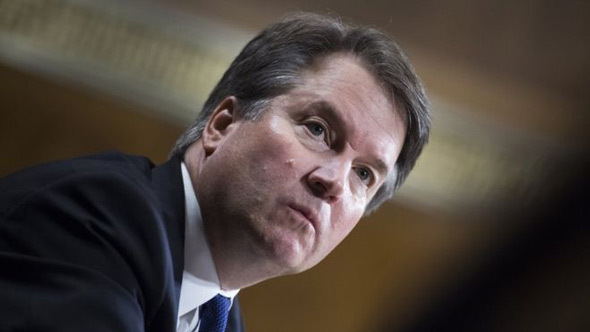 Justice Kavanaugh was confirmed to the court just seven weeks before Blasey Ford closed the account. "The funds you have sent through GoFundMe have been a godsend," she wrote. "Your donations have allowed us to take reasonable steps to protect ourselves against frightening threats, including physical protection and security for my family and me, and to enhance the security for our home." "With immense gratitude, I am closing this account to further contributions," the 52-year-old announced. 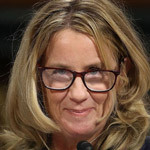 Though she did not disclose the amount, Blasey Ford said the "unused funds" would be delivered to trauma survivors. "All funds unused after completion of security expenditures will be donated to organizations that support trauma survivors. I am currently researching organizations where the funds can best be used. We will use this space to let you know when that process is complete," she said. 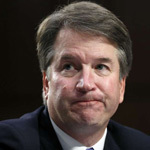 Brett Kavanaugh turned down over $600,000 in GoFundMe money that was raised for him and his family following the brutal media assault throughout the confirmation hearings. 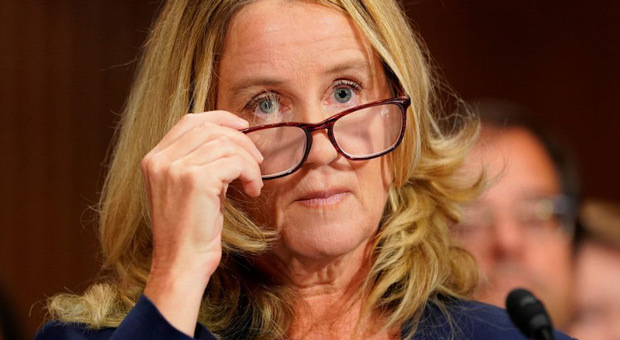 "Words are not adequate to thank all of you who supported me since I came forward to tell the Senate that I had been sexually assaulted by Brett Kavanaugh," Blasey Ford wrote on the GoFundMe page. "Your tremendous outpouring of support and kind letters have made it possible for us to cope with the immeasurable stress, particularly the disruption to our safety and privacy. Because of your support, I feel hopeful that our lives will return to normal." 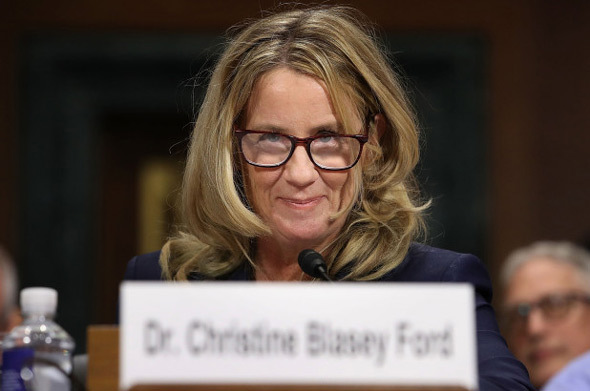 Blasey Ford said it was her "civic duty" to testify before the Senate Judiciary Committee and praised others with "similar life experiences" for coming forward. 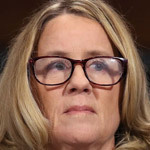 "Although coming forward was terrifying, and caused disruption to our lives, I am grateful to have had the opportunity to fulfill my civic duty," she said. "Having done so, I am in awe of the many women and men who have written me to share similar life experiences, and now have bravely shared their experience with friends and family, many for the first time. I send you my heartfelt love and support." Words are not adequate to thank all of you who supported me since I came forward to tell the Senate that I had been sexually assaulted by Brett Kavanaugh. Your tremendous outpouring of support and kind letters have made it possible for us to cope with the immeasurable stress, particularly the disruption to our safety and privacy. Because of your support, I feel hopeful that our lives will return to normal. The funds you have sent through GoFundMe have been a godsend. Your donations have allowed us to take reasonable steps to protect ourselves against frightening threats, including physical protection and security for my family and me, and to enhance the security of our home. We used your generous contributions to pay for a security service, which began on September 19 and has recently begun to taper off; a home security system; housing and security costs incurred in Washington DC, and local housing for part of the time we have been displaced. Part of the time we have been able to stay with our security team in residence generously loaned to us. With immense gratitude, I am closing this account to further contributions. All funds unused after completion of security expenditures will be donated to organizations that support trauma survivors. I am currently researching organizations where the funds can best be used. We will use this space to let you know when that process is complete. Although coming forward was terrifying, and caused disruption to our lives, I am grateful to have had the opportunity to fulfill my civic duty. Having done so, I am in awe of the many women and men who have written me to share similar life experiences and now have bravely shared their experience with friends and family, many for the first time. I send you my heartfelt love and support. I wish I could thank every one of you individually.